The NutriSystem weight loss programs worked out well for so many individuals who had issues with weight. There are many diets which are served to us on a daily basis but most are only aimed for women and have been proven not to be as efficient with men. Nutrisystem created three different programs which are suitable for both men and women. The foods include: blueberry muffins, ravioli, jambalaya, several kinds of snacks and desserts, etc. All programs include a customized meal plan of foods which are prepacked, and they are delivered to your door. There are a few programs for men worth trying: The Advanced Men’s Program, The Men’s Diabetic Program (for individuals with Type II diabetes), and The Men’s Silver program. This also includes a free weight loss counseling, a meal planner, and a host of online tools. The process is pretty simple and the weight is easily kept! 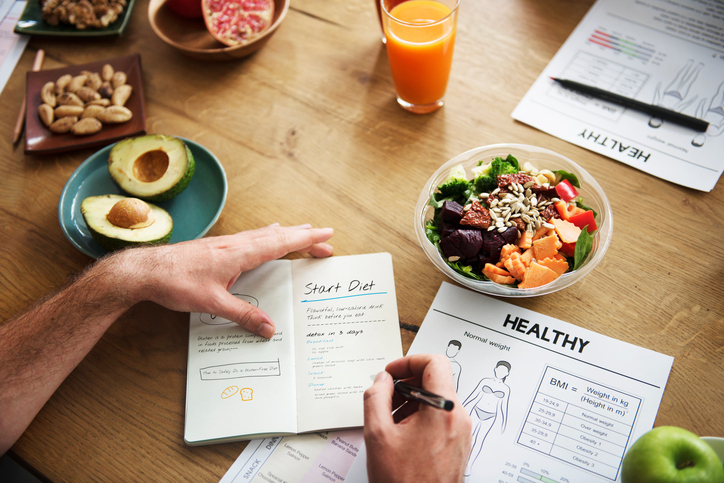 As you may know, the dietary needs of men and women are different so, this men’s plan is tailored for a larger capacity and allows you to choose your food, and it is a variety of foods to choose from. What is also great about using the Nutrisystem diet plan, is that the expert support is always available and being on this diet will encourage you to exercise. This is actually a very convenient way to lose weight and it is diabetic friendly. 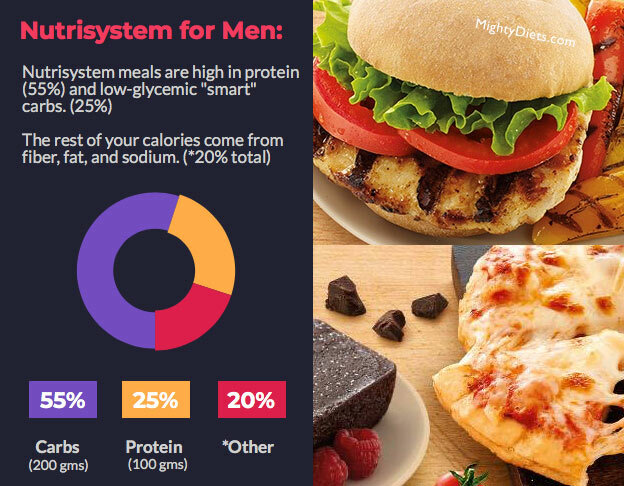 The NutriSystem For men program contains more calories as men have a larger need for energy naturally. The plan includes breakfast, lunch, snack, dinner, and dessert every day! So you don’t need to plan your meal, because NutriSystem already planned it. There is a difference with the Silver Program which gets you to eat six times a day. As mentioned before, The NutriSystem menu offers a variety of foods to choose, from burgers and pizza to desserts and sweets, which is very interesting to most of the users because they are used to getting restricted from all of these. What is also interesting is that NutriSystem meals contain omega-3 fatty acids and soluble fiber which helps your heart stay healthy and helps with digestion. There is no need to refrigerate the food and it can be heated up in a microwave. Only fresh fruits and vegetables need to be added, and you can, of course, buy them in your local store. The three programs mentioned give the best results and combine the success of the dietary requirements and the NutriSystem plans which are specific to meeting the diet plan and the weight loss goals of men. The needs of men as for weight loss was targeted easily and the risk of any complication is almost impossible. The second day I woke up with a slight headache but it soon subsided after I had a glass of water and breakfast. I added healthy snacks between my meals such as fresh avocado, yogurt and mixed nuts. The days got easier. By the third day of sticking to the plan (which was a big accomplishment for me), I was already feeling more energy and less bloating. This motivated me to do another week. Weeks went on and I continued following the Nutrisystem diet. 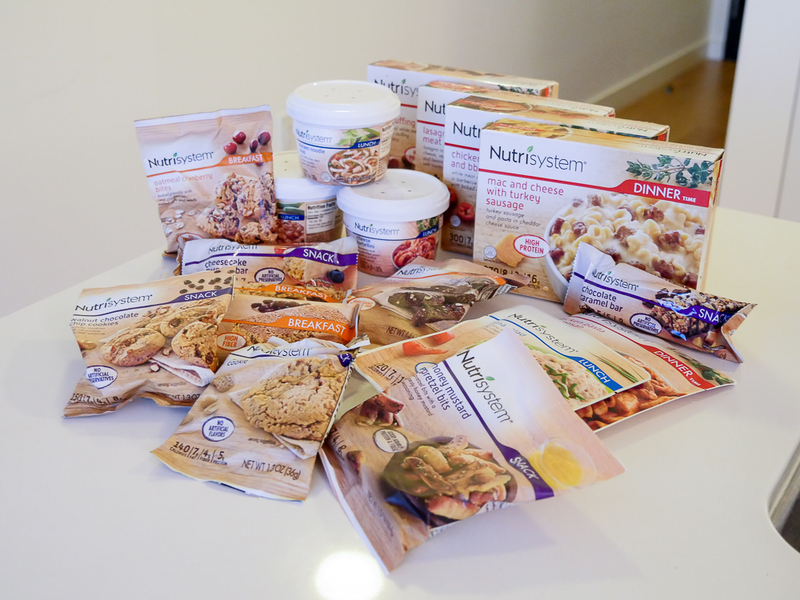 So, how long does Nutrisystem take to work? It works within the first few days. Our advice is that you drink at least 64 oz of water and do light exercise, and set yourself a goal to walk at least 10000 steps a day. As days go by, you will stick to the program with ease and you will be closer to reaching your goal! Your health will improve and some of the users reported no more heartburn and acid reflux! As much as there are great parts of this amazing diet, there are some cons. The food is pre-packed and shelf-stable (not a con for everyone, but for some it is) and it does not provide significant fitness guidance, but there are other websites to fill this ’empty’ area. By sticking to the food provided you will lose weight without giving up foods you love or spend your dieting days hungry. The women’s program is high in fiber and protein as well and utilizes more complex carbs to maintain blood sugar and prevent cravings. What is also recommended is to avoid alcohol while you are on the Nutrisystem program. Weight gain can cause serious health problems and you may feel sick and feel heavy all the time and sometimes your knees can start giving you problems. Your self-esteem lowers and you may end up with a bad attitude in general. We all know how difficult it is to start exercising. You always say you will start tomorrow, right? But as soon as you start taking NutriSystem foods you will feel the need to exercise. NutriSystem encourages you to exercise while following the diet program. 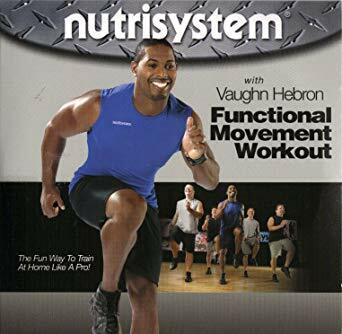 What is also great is that you will receive a free exercise DVD created by the former NFL Pro, Vaughn Hebron. The program is called Functional Movement Workout. This program has proven to raise metabolism as well as some short lasting sessions which are fully effective and give maximum weight loss results. This is another extra support needed for sustained results. In order to maximize your metabolism while eating according to the NutriSystem plan, stick to the workout plan, because it will be an additional push to ensure that you lose weight steadily! 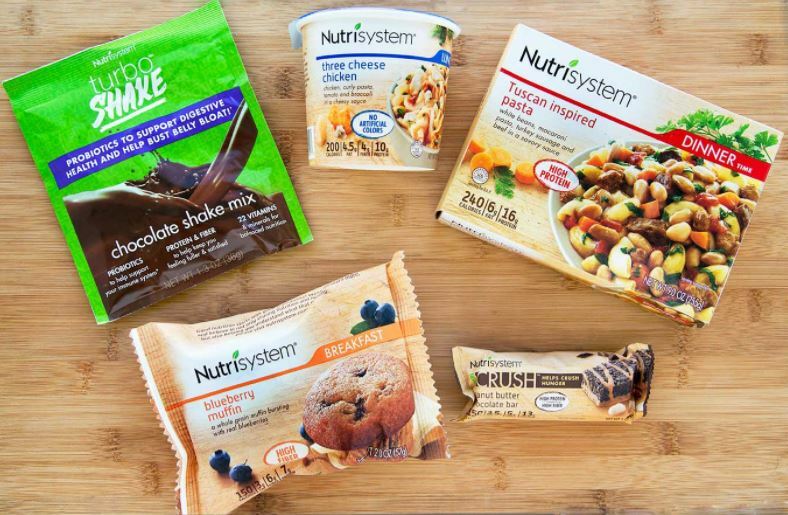 NutriSystem is named the Best Commercial Diet by the US News in 2019! Many marked the Diet as greatly positive and people were able to lose weight consistently and in a short period of time. 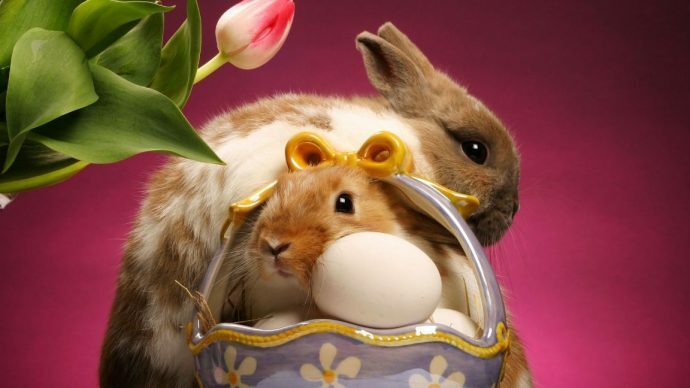 The food is tasty and the program is easy to follow. The NutriSystem diet plan is definitely one of the highly respected weight loss programs and has helped many lose weight. It does all the cooking, measuring and calorie counting for you and do not teach you the long-term healthy eating behaviors. The plans offer simplified explanations as to what is needed for a person to really lose weight. 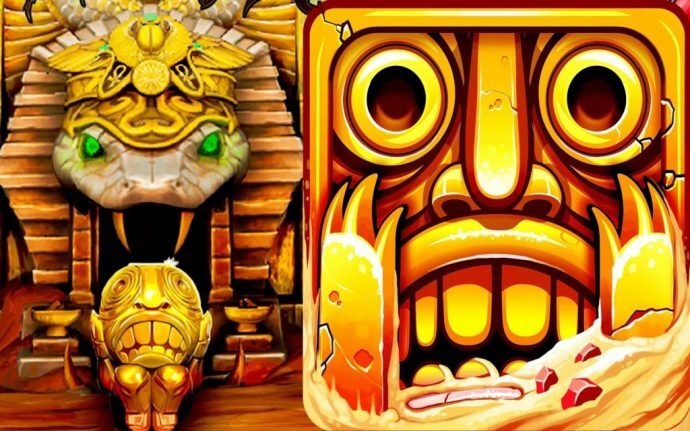 Let us know about your experience. We would love to know how it worked out for you! Chinese Food Background Chrome Theme with Chinese Food Fun Facts! Cupcake Cake & Chocolate Wallpapers – Why Do We Love Them?